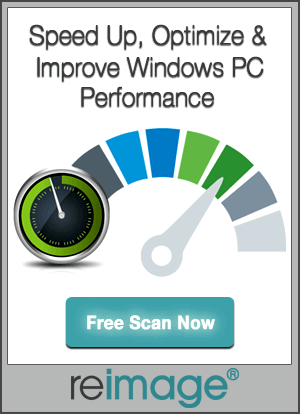 Are you facing issue while using Windows 8? Not like the previous version of Microsoft operating system Windows 8 has some strict policies and it doesn’t allow the operations to track off these policies. This is the reason why some user face issues while using it. Windows 8 is the latest version of Microsoft Windows operating system. The main reason behind this latest version is just to improve the user experience. You can easily install it on your PC, Laptop, HomeTheatre and tablets. Below you have some Common Windows 8 Error Messages read them so that you can handle the situation in better way. From the below error message find out what you are experiencing and learn how to handle the situation. 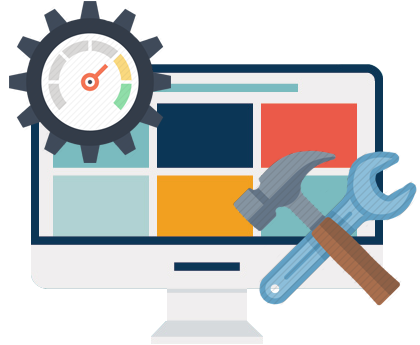 The main reason behind this question is that are you sure that this software or program is virus or spyware free and doesn’t contain nay harmful thing. Issue: A window similar to it will appear when you are trying to install or update drive for one of your computer’s part. Solutions: But if you are that file is safe click on the Install button. But if the warning message appears continuously or you find that software suspicious then don’t click on Install button. Above message means that you haven’t save the work in a program and it is about to lose. Cause: This error message when you are trying to close any application, reboot your computer, sign out, before saving your work to any program. Solutions: Look in window’s title bar for program’s name. And find that program on your desktop or just click on taskbar to bring it forefront. At last save your work by selecting Save from program’s File menu or tab or just click on save icon. But if you don’t want to save the work then discard your work and simple move on. How do you want to open this type of file? This dialogue box appears when Windows fails to recognize program created that file. Cause: Windows programs add a hidden secret codes, which are called, file extensions. When you double-click on Notepad file, just take an example, Windows recognize the file’s secret, hidden file extension and use Notepad to open that file. But if it fails to recognize the file’s secret code letters, then you get this error message. Solutions: If you know which program created that file, select it from the list of programs offered by Clicking on More Options to see other programs, but those programs will hardly to open the file. 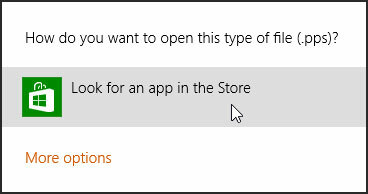 If Windows doesn’t give a perfect suggestion then choose Look for an App in Store. You may need to download or buy app from the Start screen’s Store app. When this window appears on the screen, tell your Window what to do with flash drive or memory card you inserted in your PC. Cause: You’ve just inserted a flash drive in your PC’s USB port, or you’ve put a memory card, into a card reader attached to your PC. Speed up My System: Click on this option if you’re planning to leave the item permanently attached on your PC. Slower computer that need more memory, this choice can speed up. 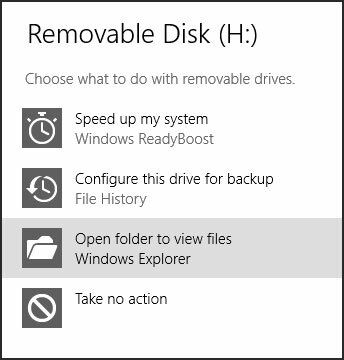 Configure this Drive for Backup: on this option if you’re planning to leave the item permanently attached to store backup. With large flash drive, it works very fine. Take no action. Click on this to get rid of this message. To access the item, you can later on open File Explorer from the desktop, and from there open the card. If you find this dialog box in screen then it is very clear that window won’t allow you to peek inside the folder that you are trying to open. The same error message appears when Windows won’t let you move inside any file. Cause: The reason behind the error message can be that the file or folder doesn’t belong to you or it is somebody else with a different user account. Solutions: If you an Administrator account, then you can easily open that file and folders from other people’s user accounts by clicking on Continue option. 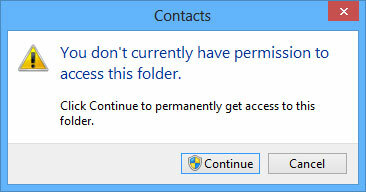 But if you don’t have an Administrator account, then you won’t be able to open that file. If eth account holder wants you to see the file or the folder then they will copy or move the item in the Public folder.